It is said that when you see a butterfly it is someone you love in heaven reminding you of them and all the beautiful memories you shared. This is never truer than when our family is visited by our monarch, my mom, Mary. Mary, a homemaker in every sense of the word, was very proud of the house she kept and the community she belonged to. But when asked what her greatest accomplishment was she would reply– her three layer birthday cake, sons Graham, Garry, Grant and daughter Marylu who was the cherry on top! In her 87th year our mom was diagnosed with pancreatic cancer. Instead of curative treatment, she chose to live the rest of her time to the fullest and was able to remain at home under the watchful eyes of family and other caregivers for seven months. 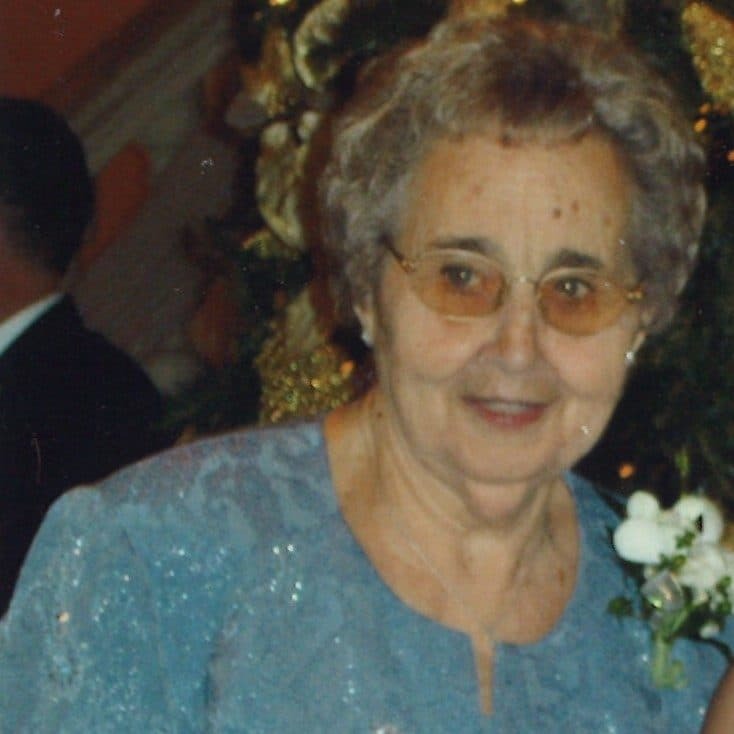 Even then she was committed to managing her health care and in preparation for her final chapter in life’s journey, she chose to move into her new home-away-from home, Chatham-Kent Hospice. Suite 3 became a special place for our family. Our mother always joked it was the “best room in the place” because you could see everyone coming and going. Since it was the holiday season, she could also hear the volunteers playing carols on the piano in the Reflection Room across the hall. Ever the hostess, Mom needed to make sure there was a treat available in her room for anyone that might pop in. She received so much love from the kind, caring and compassionate staff and volunteers, and the treats were her small way of showing her love and appreciation back. The next day, after several weeks at Hospice, mom was able to leave this earth with peace and dignity. Hospice made a sad and difficult time a little bit easier through the kindness, genuine concern, compassion, and guidance provided by the staff and volunteers. And we will never forget all the hugs! Our family was not a ‘hugging’ family but, after our stay at Hospice, this has certainly changed. Hospice just has a way of bringing people together, physically and emotionally. getting our extended family, friends and co-workers involved. For this year’s hike, I decided to join the planning committee and help out even more. 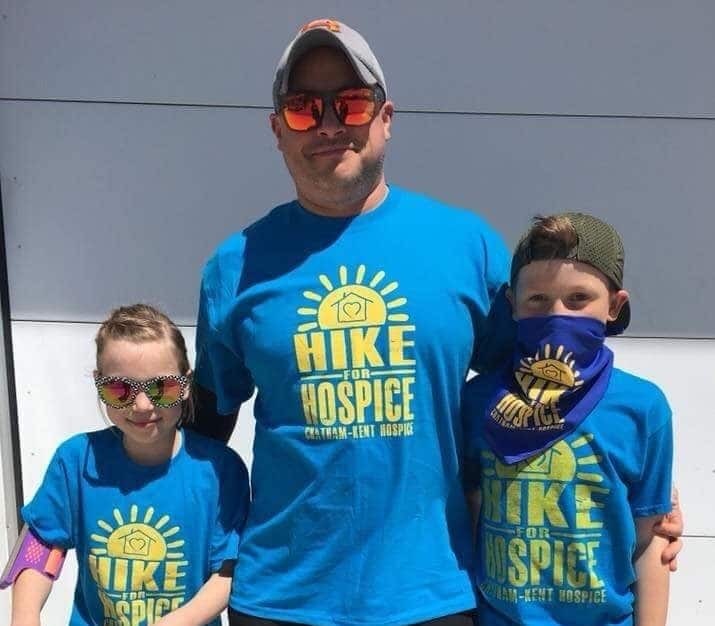 Our family really enjoys attending the Hike for Hospice because we see other families we became friends with at hospice and know that our contribution is making a difference! Hospice is such a great asset to this community and we encourage everyone to support and donate in whatever way they can so this remarkable facility may continue to provide exceptional end-of-life care to families like ours. Our mother always said she would come back as a butterfly, specifically a monarch. The butterfly pleases where it goes and goes where it pleases. Our butterfly makes her presence known on a regular basis and is still watching over us all. Thank you Mom for loving us and setting such a wonderful example for us to follow.